LogMeIn Central is an endpoint management solution that enables IT professionals to securely deploy and automate routine IT tasks. 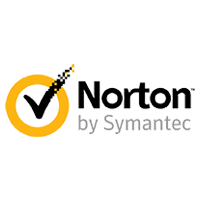 Its features include anti-virus management, encryption, remote control access, user management, computer grouping, and more. In this article, we cover user reviews and pricing. Ready to try LogMeIn Central? Get a free trial. 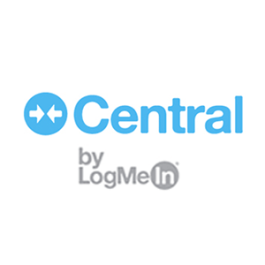 Users who gave LogMeIn Central a positive review said that it gives remote employees a secure and reliable access to project updates, documents, and client database. Some of them commended the fast installation process and ease of use for both admin and end-users. As of the date this article was written (11/30/2018), there are not a lot of negative LogMeIn Central reviews available online. However, some users complained that the pricing is too expensive for small companies. LogMeIn Central offers three plans: Basic, Plus, and Premier. The plans cost $599.99, $1,299.99, and $1,599.99 per year, respectively. All plans start at 25 computers each. 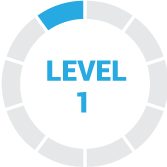 Only the Premier plan includes advanced security features and premium customer support. Ready to try LogMeIn Central? Get a free trial. What type of professions can benefit from LogMeIn Central? LogMeIn is an endpoint management solution designed for internal IT teams, managed service providers, and company tech support teams. How does LogMeIn Central help clients complete program fixes and updates in less time? LogMeIn Central equips users with remote control and monitoring capabilities eliminating the need for on-site visits. It lets users install programs without having to interrupt their clients’ activities. Not sure if LogMeIn Central is the right fit for you? Read our reviews of all top internet security software or check out one of these three LogMeIn Central competitors. Their remote access solution simply just works. Our company uses it on almost all of our installations as well as our home PCs. What’s especially nice are their client apps, we can remote support our customers using our phones or with the client app on the pc without having to go to their website. They also offer two factor authentication to make it that much more secure. The only problems we have with them are minor. Their solution can no longer be installed on Windows XP (yes, some of our sites still use this). I also wish they had been more assertive in establishing themselves as PCI compliant early on, this caused some of our customers to not allow logmein. LogMeIn allows for unattended access to multiple machines. As an IT company, this is necessary so that we can work on PCs when the offices are closed. We can wake some PCs if they are asleep or even powered off, and there are a lot of back-end tools that you can use, such as command prompt, services, etc., without disrupting the currently logged in user. The pricing is really bad. They keep doubling their pricing year over year, so I don’t know if we’ll be able to keep using this great software. That they were going to raise their prices by over 300% over 3 years. Fast remote access, it is incredible that you can easily access several computers, where you could browse and send files without any problem. We are a small company, software we love to implement it day by day in our work, but it has become a bit expensive and this has bothered us a bit, since we have to pay much more than expected. Remote access is great. Not just controlling the machine and seeing what is on the screen but being able to send files, jump in to the back end and set up users, and settings etc. Sending an installation file to the user is pretty simple as well. It is a bit pricey and they have raised their prices since we started with them. I don’t like that I can’t purchase licenses for each computer but I have to buy them in blocks. I have 500 in my account now if I need 501 I have to buy 250 more. That I had to buy licenses in bulk. LogMeIn provides a very easy, understandable service for both computer technicians to remote onto client computers, and for clients to access other office site computers. It’s reliable and robust enough for using in our business, and simple enough that after being walked through it once, most clients feel comfortable enough with it that they never report having issues using it and getting connected to their computers. I’ve only worked with their support team once, but they were fast to respond, kind, and resolved my problem in one conversation. LogMeIn, in my opinion, is the best remote access product on the market. Because of this the past few years they’ve been raising their rates higher and higher, and there isn’t really a great alternative, but at a certain point your business might have to decide a slightly lesser product at half the price is just the better option. I don’t see anything about the company that I wish I had known before purchasing. Price raises are expected to an extent, and that’s not something they necessarily would have known or planned years ago.